The name Arbor Vitae Massage and Bodywork came about when I was learning about the nervous system. The arbor vitae is the white matter in cerebellum of the brain. This white matter is the area of the brain that transmits sensory and motor information to and from the brain. In September of 2009, I quit my job in the outdoor retail industry, and left for a year long adventure to New Zealand. My purpose was to obtain some clarity for my future. I wanted to figure out what inspired me, and what would lead me to the next step of my life’s journey. About six months into my trip, I sat on the beach of Lake Wanaka where I realized that my next career move would be in Massage Therapy. I knew I wanted to help people manage their stress better, and enjoy their life to the best of their ability. After all, life is amazing! Once I returned to the states, and started to train in Massage, I discovered a love for sports massage and injury prevention. The human body can be like a big puzzle, and I love the challenge of figuring out what the cause of various dysfunctions may be. 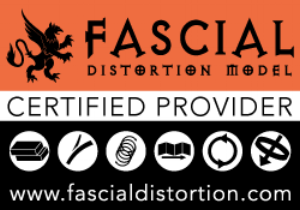 In efforts of learning just that I have become certified in Active Release Techniques (ART), Fascial Distortion Model (FDM), Neurokinetic Therapy (NKT) Contemporary Cupping Methods, Functional Movement Screening (FMS), Kinesiology Taping (RockDoc) in addition to Trigger Point Therapy, Deep Tissue and Table Shiatsu. My specialty is in Functional Mobility. My goal is to help get people back to their favorite play grounds without pain or dysfunction. In a session I generally ask a series of questions to better understand how your body responds to what I am noticing. I will often request that we work together to loosen a muscle, whether it involves simply breathing, moving a limb, or contracting a specific muscle. After your session, you can expect a few exercises that will help you to continue resolving your issues between sessions.